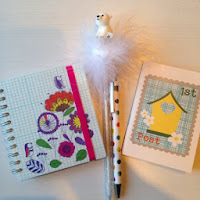 T and I received quite a few papery delights this Christmas, sadly I didn't receive any notepaper but I think I'm going to ask for a few writing sets for my birthday as I think it's nice recieiving something that you maybe wouldn't pick out yourself! Just before Christmas I participated in a Christmas stationery swap, I received these cute little notebooks and pens, although the polar bear pen was pilfered by someone for his creation station. 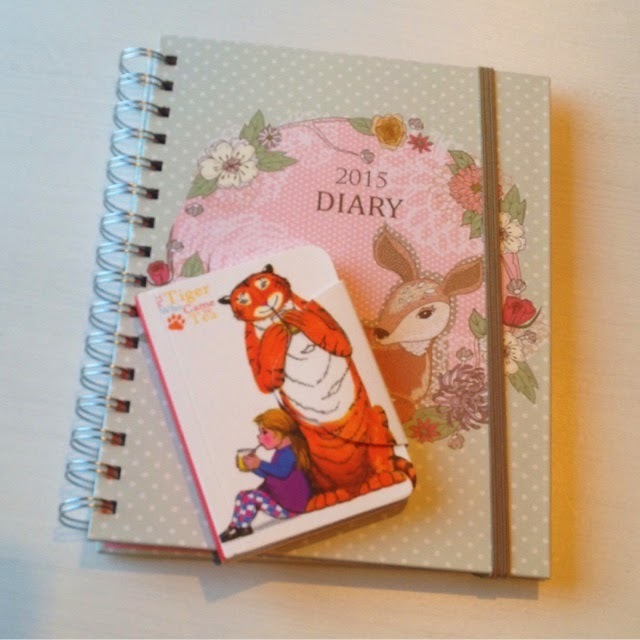 Becky kindly sent me a couple of diaries too, I'm using the deer one for my blog calendar and the tiger who came to tea I'm going to use at work. 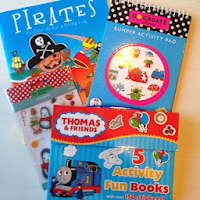 T also received a number of books and activities for christmas and his birthday. I shall be looking to this post by Thereadingresidence.com which has some great activities to go with the book 'what the ladybird heard' so I'm looking forward to doing some of those and coming up with some of my own for his new books. 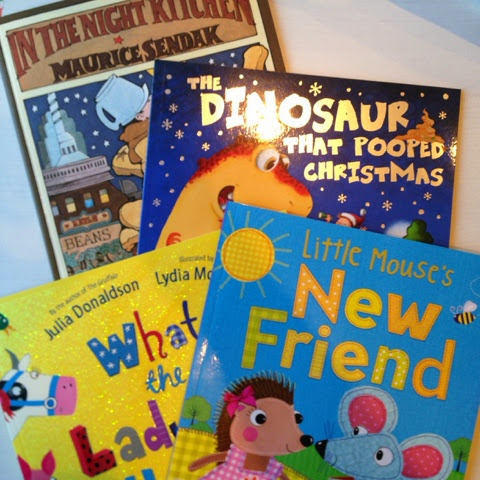 He' also got the book 'The dinosaur that pooped christmas' which he loves, although that's now gone away for the advent book basket so he'll get more benefit from that next year! 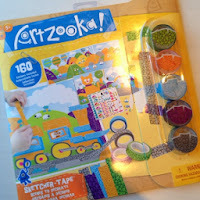 We also have lots of activity books to start using when we need some rainy day activities. 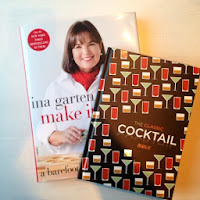 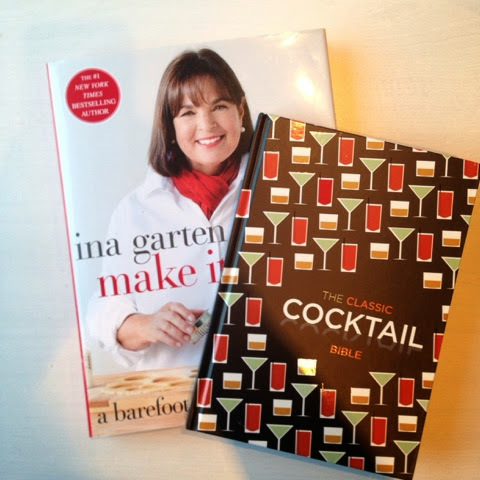 I received some books from The Hubs an Ina Garten cookery book and a cocktail book, looking forward to trying out some of those in the coming months! 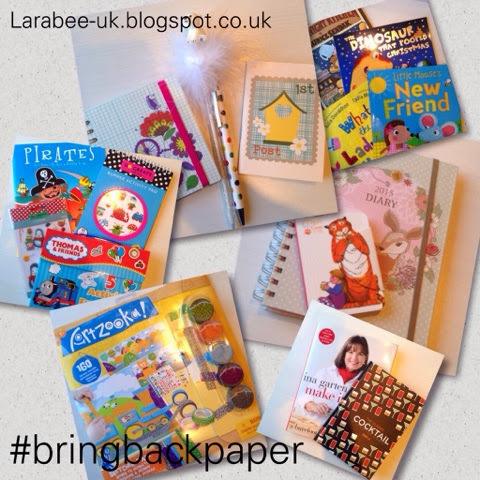 What a lovely selection of papery products you received. I love getting new stationery, especially notebooks and pens!